Is a homelessness charity based in north Bedfordshire offering active support to formerly homeless people. We provide a real workable alternative to homelessness, offering people a home, as well as meaningful work in our social enterprise. 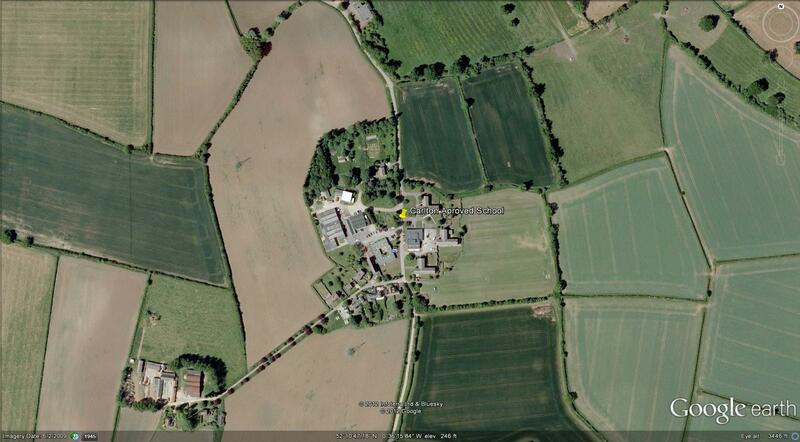 Carlton Approved School Located near Turvey and Harrold Bedfordshire now demolished as far as I know. I visited the location round 1996 when a lot of the buildings as I remembered them had gone. 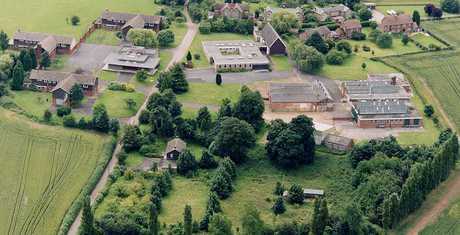 The hall, kitchens and engineering blocks remained, as did the cricket pavilion and the masters homes. It was a very strange feeling walking free with my wife around the location where I had been detained under her Majesties pleasure as they say for 12 months in 1961 as a 15 year old. Strangely enough I felt sad that it was all being pulled down, at the time of my incarceration my release date could not come soon enough, but now all I could think of was the kind masters who did there best for us and the young men who I spent my time there with. 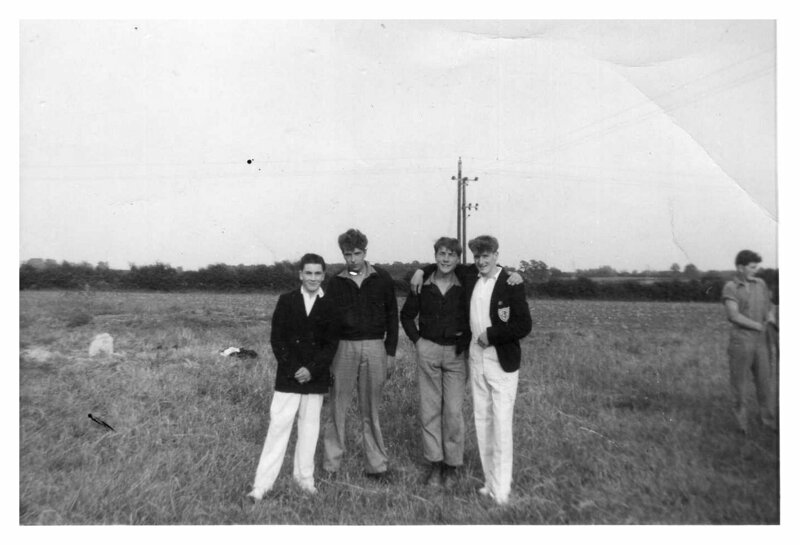 Dave T the head boy, Ron C, James who always had tobacco to sell, John and Stumpy my friend, on the short side : ) but interested in radio & electronics as I was. 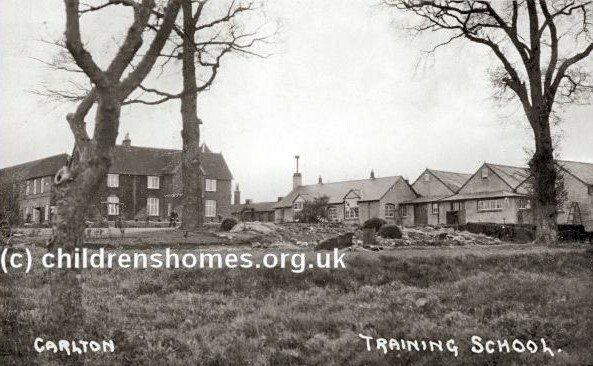 If you were a resident or master at Carlton at that time please post memories using the form Click Here. I would suggest only first names for residents, but leave that up to you. My name is Allen and I host the forum. So you are saying that you and your good friends were so happy at Carlton, that you absconded so that you would be caught and kept there longer. I was not un-happy during my stay in 1961, but 12 months was all I did as I wanted to go home. 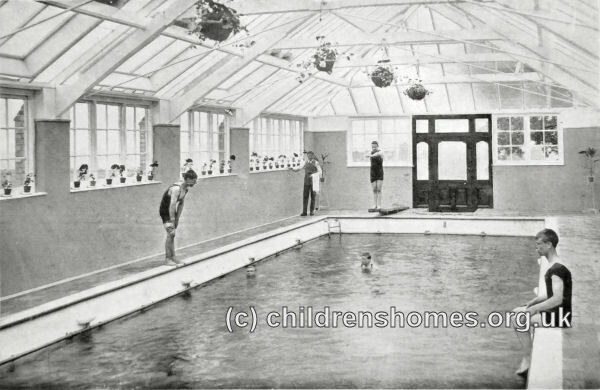 Just found this website about the schools early years. The dormitories to the far left on two floors. I think the chimney on the single story building next was the boiler room. The house next to it looks out of place ? The next building to the right was I think the dinning room ? Then the wood working workshop ? I remember the farmers as my morning job was cleaning the wash room, the farmers were a messy lot LOL. Alanna has just reminded me that by the time of your stay in Carlton I was married with two children : ). Yes home sickness was a hard thing to bear, the only time I ran away was from the remand centre in Enfield, I think it was called St Christopher's ? It was a very cold and foggy night in December and so dark I could not see where the country lane finished and the verge began. I recall the hissing of electrical pylons in the adjacent fields, I was soon returned by a passing police car. At the remand centre we were kitted out in corduroy shorts and top with long socks with sandals, not quite the thing for a cold winter night. My stay in Carlton in 1961 was a good time and the staff were very kind to us all, I and John have fond memories of our time there. Do you recall any of the masters names, I should be interested to hear if any remained from my time at Carlton. Hi people, I was in Carlton 1974-1976, I was lucky enough to work on the farm, in the dairy and looking after the pigs. Personally I hated being away from home and spent a lot of my time running away, I was once taken back by a social worker only to get out of a toilet window while they was handing over the paperwork, most embarrassing for the social worker I guess. I don't quite know what became of the place as I haven't been there in 35 years or more. It was a very significant time in my life and I'm able to tell some interesting stories about my past because of it, some good stories, some not so good, some a little harrowing, some down right awful, but that's life. Interesting that there should be this forum though, best regards to everyone. Hallo John, Great to hear from you again. Mr Bullock yes I remember him, I did some evening activity making a record rack out of welding rods with him, I found him a very nice man. I cannot think of any of them that I disliked, Mr Price the headmaster was a little intimidating, but then that was a position that required it. They were all top mark gents and the ladies too, I shall never forget Mr Arnolds wife such a beautiful woman, sadly I think they separated while we were there. He also ran me all the way to Eastcote for a job interview so I could be released. May God Bless him, I expect he has passed away by now as I am 72 just before Christmas. It would be great to step back in time to one of those visits to the club hut in the evenings, all dressed up in our blazers. If we do not speak on the forum before, A Very Happy Christmas to you and your family. Hi Allen, Just been on the site and saw a new post from Michael, I had left by the time he arrived. The master he referred to is Mr Bullock who taught Auto Mechanical Engineering, he had a workshop next to where you worked in engineering, opposite the swimming pool and boot room. From what I remember he was a reasonable man, small with a moustache. Mr Elwell, was the instructor for foil fencing lessons, I still have my D.O.E passbook signed by him confirming that I had archived a competent level as the pursuit/hobby section of the D.O.E. As you say he was not of the physic to swing from the chandeliers and smoked, but he instructed from the side without participation. I took the D.O.E course and achieved silver the course was run by Mr Fletcher a really nice man, his wife worked with Mrs Talbot on the medical side. Glad the site is still up and attracting former inmates. Hallo Michael thank you for posting on the Carlton forum. My stay at Carlton was in 1961, so just before you. I cannot at the moment place Mr Bullock, sorry to hear about that. He may have been the light engineering master not sure, would not have thought so though as he appeared to me to be a nice gentleman as they all did. Hi Allen Further to my previous posts. Thought I would check the site to see if anybody had posted anything since. The reason I am thinking of Carlton is it's 56 years since I appeared in court and was remanded on the 21/12/1960. This was the start of my journey to Carlton at which I arrived in February 1961.So long ago and yet I still have such strong memories. I often wonder what happened to everyone? I moved recently and discovered my Duke of Edinburgh log book with names of the teachers who were also instructors, your old housemaster Mr Elwell was my fencing instructor. Mr Fletcher took us camping in Wales. All these things I would never have done if I had not gone to Carlton it really did set me up for life. Well if anybody is out there it would be good to here from you. Allen and Allana have a great Christmas From a fellow ex Carlton boy......John. Hallo Ian, I was sorry to hear that you had such a bad time at Carlton, John and I were very fortunate to be there at a time when the school had been restarted after a riot. You sound to have turned out a decent gentleman. 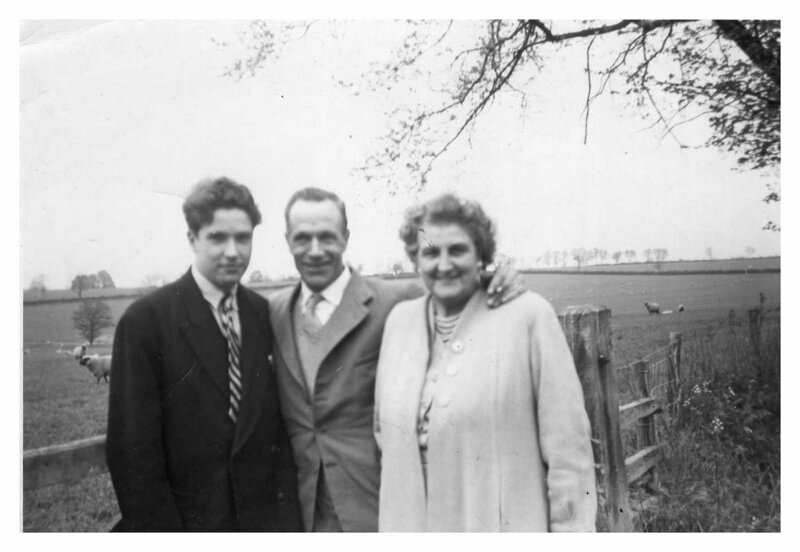 Hi Allen thank you for the reply and photos the picture confirms my thoughts its you, surname begins N. I don’t know if you remember you taught me how to play chess, which thanks to you I have passed on to my Wife and three children, they all beat me once they learnt. I remember Tim I used to work with him as a Kitchen boy under Mrs Jones in the kitchen behind the staff room and below the sick bay. Then I went to the building department under Mr Banks. I have a photo I will try and find it, Stumpy and me on top of mount Snowdon during our C of E award. I think that you and I arrived on the same day from Redhill ? I may be wrong! your number was 43 mine 42. Such a very long time ago, I never thought I would ever hear from anybody from that time in Carlton. It is very strange after a lifetime behind me. The more I think about my time there the names come flooding back. I remember that you got into special grade after a year and released a few months before me I was in for 16 months. I made a visit with my Wife and small Children in 80s while it was still an approved School. It seemed strange going back as an adult very like visiting your old School, some of the staff were still there, look forward to any more photos and memories Regards John. Great to hear from you John, I have some more pictures I took when Alanna and I visited the location round 1996. They are on slides so I shall have to dig them out. The Minibus with the car radio fitted for us. Happy days yes they were, home sick as you said after leave but more inspired to do ones best to obtain an early release. I think your incarceration was due to protecting a youth club you ran, am I correct there ? Image one is of course a group of the boys, I am second from the left, the boy to my left was Tim and Jim is far right. The images are thumbnails so just click on them. I will get the rest of the pictures online soon. If you have any pictures I will give you an email address to send them too. In reply to John. Sorry for the long delay in replying. I think my number was 45. Mr Fute the cook yes I had forgotten his name, a large gentleman : ) Mr Bustin Gardening, Mr Carter woodwork you mentioned, I also recall them. I have a group photo Mr Erlwell took, I will look it out. In reply to Gordon it looks as if things had changed by the 1970s, sorry to hear of your troubles, it was a very decent place given why we were all there in the 60s. Name: Gordon ( Doris) ? Hi I am very interested to hear about the Carlton School. I was there around 1971/72? not to sure. I was sent there through the system from a very disturbing ADS sickness. the house masters i.e., sexually abused my person. There for I terminated my stay( disappeared ) and found my own way in life .I have many memories of Carlton and the masters but no recollection of their names. Have you had any contact to residents around this period. Today I am a very successful international company but still carry at times the cell blocks in my thoughts. Regards to you and all the best. Hallo John just spotted your post, I remember you, a good looking lad : ) It was great to hear a good memory of Carlton. I often think of the kindness of the masters, my house master Mr Erewell would let me telephone home from his house : ) Stumpy was my friend, we were both interested in radio and electronics so the masters found old equipment for us to mess around with . This was stored in the ark welding section of Mr Lafurie's workshop, one evening Stumpy and I went in there to work on an old radio chassis only to find some so and so had welded it to the bench : ) I am very happy to hear you stayed out of trouble and went on to succeed in life . The club house with it snooker and billiard tables was great, I often wish I could be there, not permanently though : ) Yes Mr Banks a nice gent as were they all, fishing in Turvey with My Laflurie, all great times. I am happily married with two daughters and live in Mullion Cornwall. I expect too much time has passed for any of the masters to be with us, but if they are any, I would love to hear from them if only to say thank you for all you did for the boys at Carlton back in the 1960s : ) If you get time to reply John it would be great to talk more. God Bless Kind Regards Allen. since finding the site there dos not seem to be many boys who wish to remember those days also allen you seem to have different recall to me when was you there ? regards alan. I will be adding some photographs taken in 1961 and much later round 1995.